For as long as she can remember, Laney has been having future flashes”visions of the future that she sees when she makes physical contact with another person. Left on a doorstep as a baby, Laney’s past has always been cloudy to her, despite the clarity with which she can see the future. Her caretaker, Walt, claims to be her father, but Laney has a nagging suspicion that he isn’t quite telling her the entire truth. 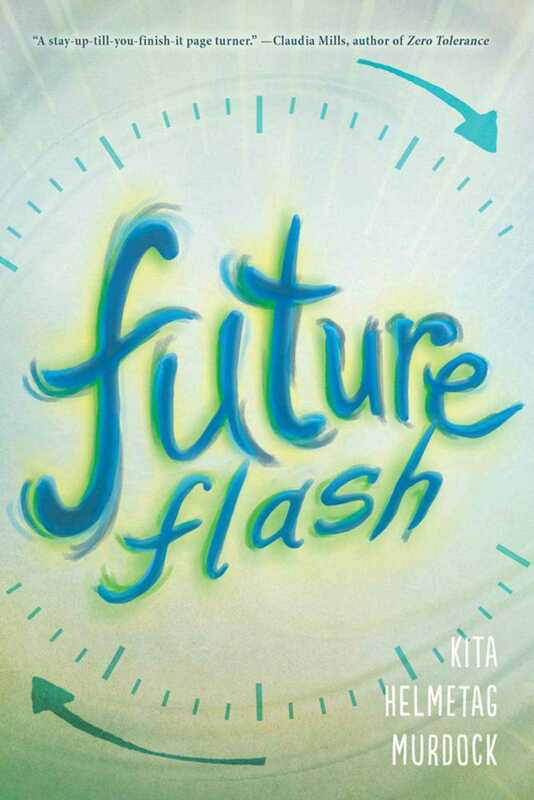 And when a new kid, Lyle, moves to her small town, Laney is dreading meeting himshe almost always gets a future flash when first meeting someone new, and the flashes aren’t always good. Unfortunately, her meeting with Lyle isn’t just bad; it’s painful. Engulfed in flames, Lyle’s future flash is the worst Laney’s ever experienced. But what does it mean? Is there anything Laney can do to change the future? And will she be able to save Lyle not only from a fiery death but also from the merciless class bully without becoming a victim of his antics herself? In this thrilling and imaginative middle grade novel from author Kita Helmetag Murdock, follow Laney as she works against the clock to understand her past and prevent the disaster looming in the future.